Last month, we discussed whiplash injury prevention by focusing on the physical characteristics of crashes. This included information about head restraints, collision speed, seat back position, body size differences, air bags, and more. This month, we’ll focus on the MOST important aspect of whiplash prevention: driver distraction! Of the 6,000 drivers surveyed, 6% reported having been in a crash in the prior year and 7% had been in a near-crash, with men being at a slightly higher risk than women. Young drivers, those 18-20 years old, had the highest incidence of crash or near-crash experiences (23%) compared with all other age groups while interestingly, drivers aged 65 years and older had the lowest (8%). The younger drivers reported almost double the number of crashes (17%) as drivers in their early 20s (9%) and up to four-times more than the other age groups (4-6%). 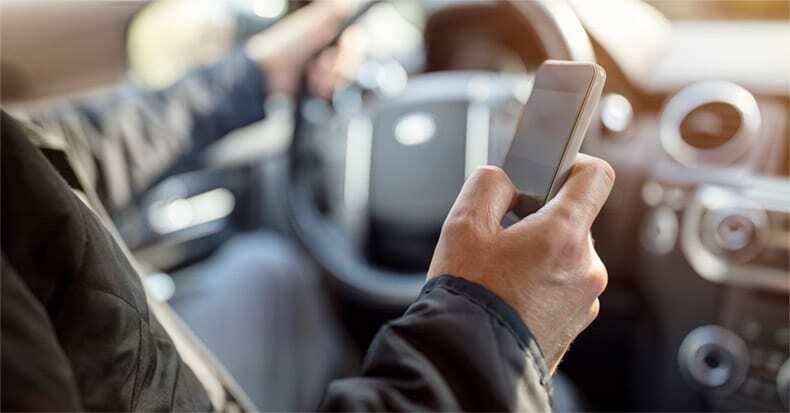 Of the 718 drivers who were involved in a crash or near-crash in the previous year, 6% reported phone usage at the time (4% talking, 1% sending a text or email, and 1% reading a text or email). The young driver (18-20 years old) group, reported the highest cell phone use (13%) at the time of the crash or near-crash (2% talking, 8% sending a text or email, 3% were reading a text or email). The highest incidence of talking on the phone at the time of crash/near-crash was in the age 25-34 years old group (10%). Not too long ago, we reported statistics comparing texting to drunk driving, and the data was sobering. Researchers from the Monash University Accident Research Centre in Australia found that texting severely impaired driving skills, as participants spent 400% more time with their eyes off the road! To summarize, avoid all distractions while driving and keep your eyes on the road!